There is in fact a built-in stabilizing mechanism in the overall homeostatic system for body weight. Any imbalance between energy intake and energy requirements will result in a change in body weight that, in turn, will alter the maintenance energy requirements in a direction that will tend to counter the original imbalance and hence be stabilizing. The system thus exhibits 'dynamic equilibrium.' For example, an increase in body weight will be predicted to increase metabolic rate (on the basis of the extra energy cost for synthesis and subsequent maintenance of extra lean and fat tissues), which will tend to produce a negative energy balance and hence a subsequent decline in body weight toward its set or preferred value. Similarly, a reduction in body weight will result in a reduction in metabolic rate due to the loss in lean and fat tissues, which will tend to produce a positive balance and hence a subsequent return toward the 'set' or 'preferred' weight. 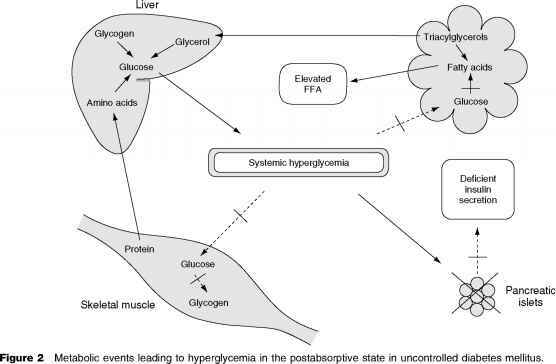 In reality, however, the homeostatic system is much more complex than this simple effect of mass action since the efficiency of metabolism (or metabolic efficiency) may also alter in response to the alterations in body weight. Indeed, subjects forced to maintain body weight at a level 10% above their initial body weight showed an increase in daily energy expenditure even after adjusting for changes in body weight and body composition. Conversely, in subjects maintaining weight at a level 10% below the initial body weight, daily energy expenditure was also lower after adjusting for losses in weight and lean tissues. These compensatory changes in energy expenditure (^15% above or below predicted values) reflect changes in metabolic efficiency that oppose the maintenance of a body weight that is above or below the set or preferred body weight.